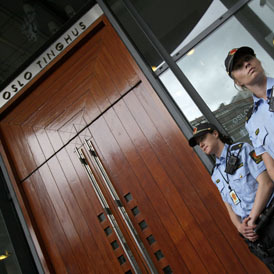 Norway gunman Anders Behring Breivik has admitted carrying out Friday’s shootings and Oslo bomb but denies criminal responsibility. The 32-year-old has also claimed there are two more terror cells. It is claimed Anders Behring Breivik, the man charged with killing 76 people in twin terror strikes in Norway, was placed on an intelligence “watch list” several months ago. 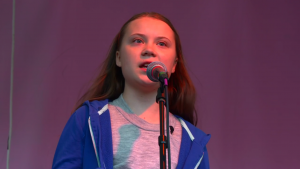 The 32-year-old, who appeared in a closed court on Monday, has admitted planting a bomb in central Oslo before shooting dead dozens of young people at a summer camp on the island of Utoya. But he denied criminal responsibility while raising fears that there are more terror cells planning attacks. “The accused has made statements today that require further investigation, including that ‘there are two more cells in our organisation,” Judge Kim Heger told a news conference. Prosecutors had asked the judge for the hearing to be held behind closed doors because of security concerns. 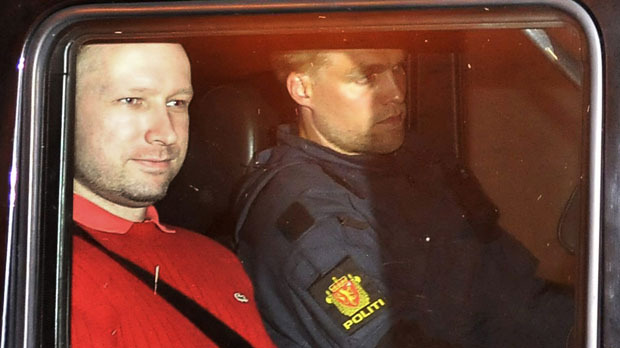 The court ruled that Breivik will be held on remand until 26 September, four of those in complete isolation until 22 August. Meanwhile, Norwegian police have revised down the death toll to 76 people from a previous estimate of 93, citing difficulties in gathering information at Utoya island, where the shootings happened. And the gunman’s father has told reporters he wished that his son had turned the gun on himself instead of the victims of Utoya. Up to 150,000 people, many carrying white or red roses, have rallied in Oslo to show support for the families who have lost loved ones. “Tonight the streets are filled with love,” Crown Prince Haakon told the crowd. Rallies were also held in other cities around the nation. Polish authorities have denied local media reports that a man has been arrested in the western city of Wroclaw for supplying chemicals via the internet to Breivik. The local prosecutor’s office denied that anyone in Wroclaw had been detained in connection with the Norwegian killings, but he confirmed Polish police had visited a chemical warehouse on Sunday following a request by Norwegian authorities. Breivik had written in his online manifesto that he had purchased 0.3kg of sodium nitrate for 10 euros from a Polish vendor. The substance is used both in Norway and Poland as a meat preservative. Breivik reportedly claimed he was recruited by two English right-wing extremists at a meeting in the UK in 2002 attended by seven other people. Scotland Yard said it was liaising with the Norwegian authorities and an officer had gone to the country to help with the inquiry. The widening investigation came as Prime Minister David Cameron chaired a meeting with the Government’s top security advisers on Monday morning to discuss Britain’s vulnerability to a Norway-style terrorist attack. He later said Britain stood shoulder to shoulder with Norway and was offering it police assistance. It emerged on Friday that Breivik had published a manifesto online railing against Muslim immigration to Europe and vowing revenge on “indigenous Europeans” whom he accused of betraying their heritage. In the 1500 word polemic, Breivik said he re-formed a right-wing group – the European Knights Templars – during a meeting with nine others in London in 2002. It was too early to say which groups this might include, he added. But reports suggested Breivik had connections and sympathies with the UK-based right-wing group the English Defence League (EDL). The EDL has denied that the suspect had any links with it and said it “vehemently” opposed his actions. The attacks have raised fears in Britain that it may inspire attacks on Muslim people by far-right groups. On Sunday British Muslim leaders announced increased security at mosques across the country. 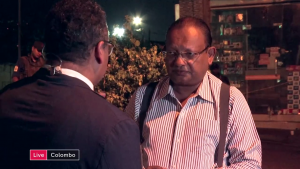 Mohammed Shafiq, the leader of the Ramadhan Foundation, said mosques were being extra vigilant and are speaking to the police about extra protection.